11 animals and machines speed comparison. Arrange the automobiles by their best quality. 20 sources of potential and kinetic forms of energy. Interactive schematics of the bicycle parts. Sort the objects by order of weight magnitude. Sort the objects by order of length magnitude. 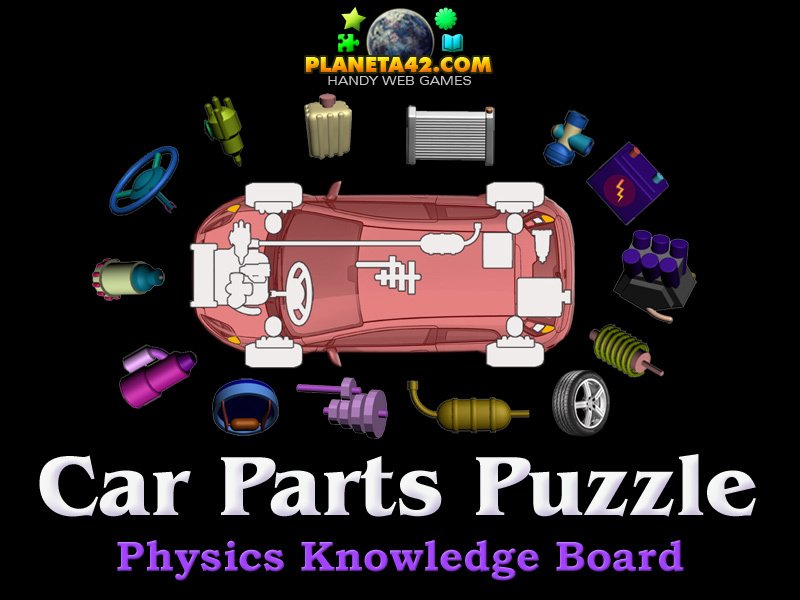 The Physics puzzles are small flash applications, up to 1 MB, which include pictures, collages and diagrams about interesting studies and appliance of physics science. The elements of the diagrams are made like movable objects, which must be fit in their place, by filowing a knowledge pattern and not a piece form. Colorful physics drag and drop puzzles. Interactive knowledge boards suitable for online classes, school lessons and home education. 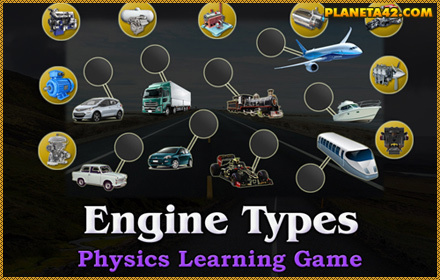 With these free online games, the player may learn and study something interesting about the physical classifications, interesting subjects and topics. Completing every class puzzle increase the knowledge level. Physics learning puzzles. Online learning games. Interactive Physics Workshop - Puzzles. Additional fun applications for learning physics. Fun Physics Puzzles Collection. Car Comparison - Sort the cars by their highest quality. Weight Comparison - Sort the objects by order of weight magnitude. Length Comparison - Sort the objects by order of length magnitude. Power Comparison - Sort the objects by their correct power value in Watts. Speed Comparison - Interactive fun diagram for speed of objects. Car Parts Puzzle - Assemble the parts of the automobile. 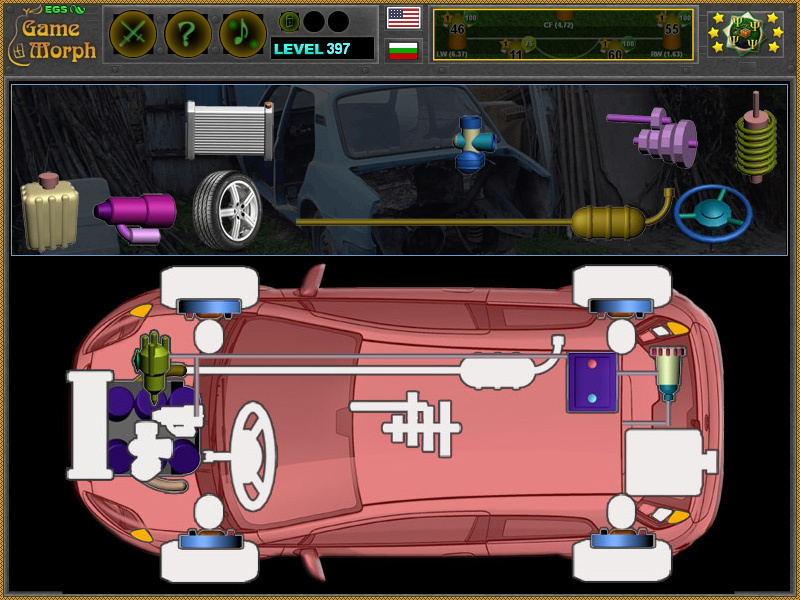 Interactive car structure. Train Parts Puzzle - Assemble the parts of the steam locomotive. Interactive train structure. Bicycle Structure Puzzle - Build yourself a bicycle. Interactive bicycle structure. 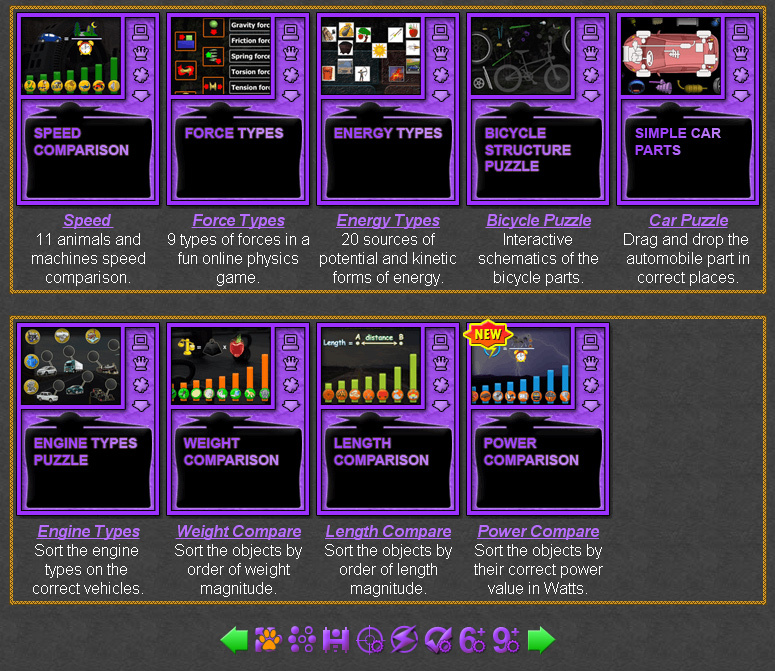 Energy Types Puzzle - Distribute kinetic and potential energies.